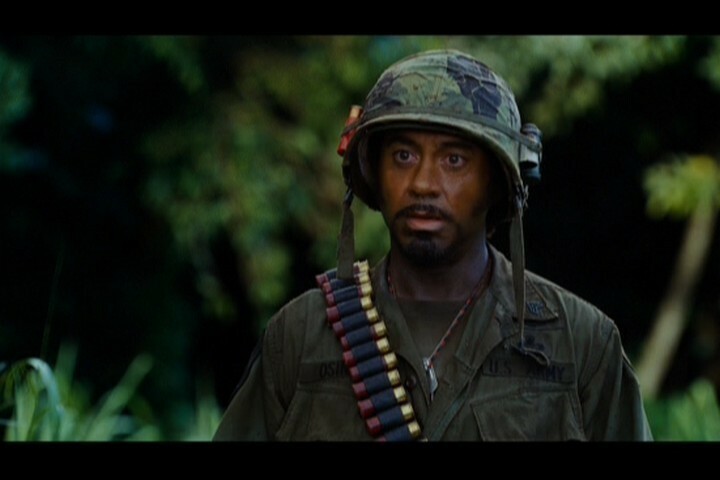 Robert in 'Tropic Thunder'. . HD Wallpaper and background images in the robert downey jr. club tagged: tropic thunder robert downey jr robert in tropic thunder screencaps dreamworks. This robert downey jr. Screencap contains baret hijau, pasukan khusus, tentara elit, green baret, prajurit elit, penembak dgn senapan, pakaian lapangan, and pertempuran gaun. There might also be pakaian serdadu resimen, regimentals, gaun seragam lengkap, and berpakaian lengkap seragam.